Ugh. They look like knock-off black ice jerseys. Well, would you look at that. A D logo Ducks jersey that's actually halfway decent! What I don't get is, if you're gonna rip someone else off, why not steal something good instead of the NBA's boring colourless ASG unis? What a waste. Oh, I thought the NHL should always try to be like the NBA, the perfect child that never does anything wrong. I'm going against the grain and say for an all-star jersey, it should be the NHL or conference/division logos. What you have basically is an expensive version of the type of generic jerseys you can buy at Canadian Tire for $50, with each jersey featuring the team logo using the same design. At least those are in the team colours. For this divisional mini-tournament format, I think it's the right time for diagonal lettering for everyone with the division names. I don't see the point in a sweater that just has an NHL logo on it. It reminds me of teams that don't have their crap ready for the draft. 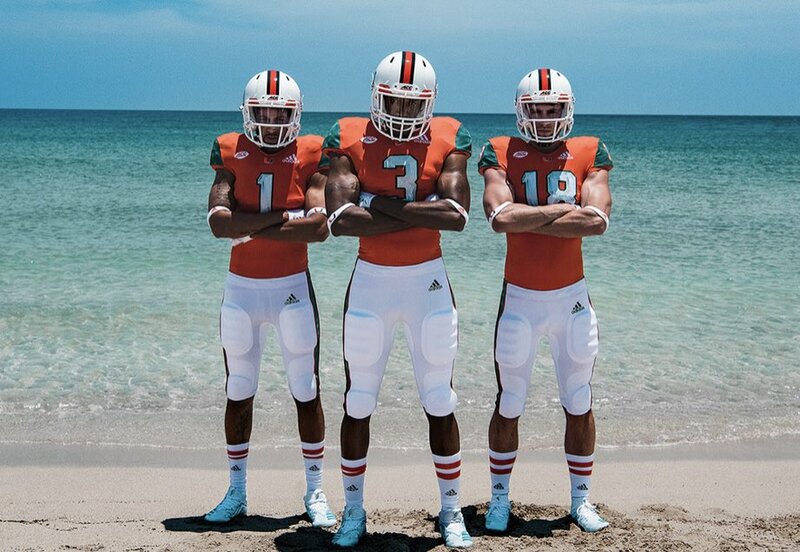 The same stupid "incomplete" matching sleeve and hem stripes. 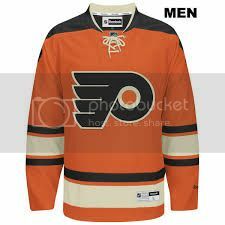 That always bugged me about this Flyers alt jersey. Something where every division has a specific trim colour would be cool. I’m fine with black and white sets for each as it would make contrast within the games easier. The 3 on 3 tourney at the LA ASG was kind of hard to watch with black vs purple in the West game. I didn't know about that, but this is a great example that adidas x parley collaboration could be colorful. 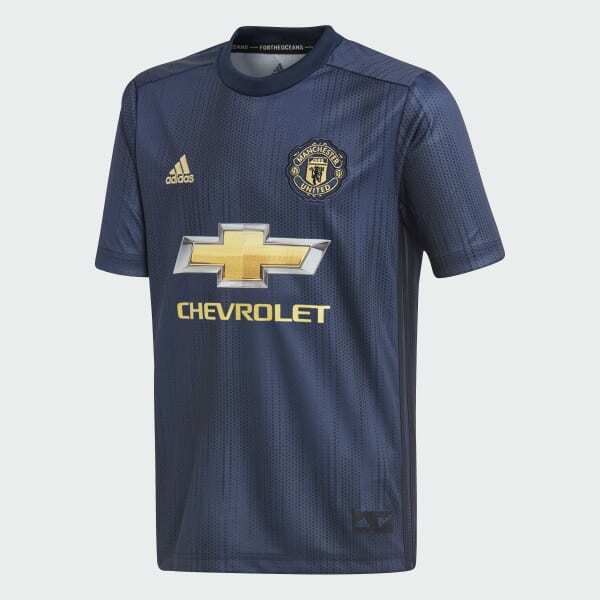 United is ok, but on the other hand Bayern on the same template looks awful. "Inspired by the colors of the game - crisp white, like a fresh sheet ice and contrasting black, like a brand-new puck - the environmentally-conscious uniforms create an instantly classic aesthetic that pays homage to tools of the game." I disagree entirely; it was fun the first time, when Phil the Thrill was picked last, but it wore out its welcome very quickly (especially after that 17-12 game in 2015) and was rightfully ditched and replaced with something a bit better. (I'd still prefer East vs. West but it's close at least.) I still don't get why the NFL and NBA decided that's just what their own all-star games needed? And frankly I don't even get your point here - is that aimed at me? If so, when did I ever say the NHL needs to be more like the league that decided ads on jerseys was the right thing to do? Case in point, when the NBA stole the NHL's dumb ASG format they didn't even do it right for its first two years - why would you schedule an ASG based around an all-star fantasy draft, and then not televise the draft? If you want to speed up the ASG's death then yeah, injecting silly gimmicks like a draft or a 3v3 tournament into it are absolutely the right way to accomplish that, in my opinion. I guess I'm one of the few people who actually still enjoys a regular ol' All-Star Game, especially in the NHL where it's one of the few times a year the wooden stiffs who play the game actually let loose and show some personality, even if just a little. Purple and yellow go together as well as royal blue and orange(Islanders & Oilers) and royal blue and yellow(Sabres vintage). The NFL Vikings have worn it for decades. Same as the NBA Lakers. It's bold and distinctive. I can't see anything wrong with the Kings' original purple and yellow look(minus the yellow pants). I would go with white(away), yellow-gold(3rd), silver and purple(home). I love the forum blue and gold jerseys myself but for me, I feel the Kings should stick with black, white and silver. After winning two cups in black, white, and silver and also having Wayne Gretzky's career as a Los Angeles King in their current color scheme, I think the Kings current scheme should be permanent. For me, they should go back to the Gretzky-era jerseys. Those All-Star Jerseys are so bland man, put some color, have some fun, its the All-Star Game damn it. 1. White(primary light), yellow-gold, deep silver(nod to Gretzky-era) and purple. Classic crown as sweater crest. 2. White, silver and purple with classic crown. 3. (What should have been in '88) White, metallic gold(like VGK's) and purple with classic crown. The problem is that the NHL badly needs a purple team, in all due respect to the Gretzky-era and the 2 Cup wins. ...meaning no respect at all. Let another team embrace purple, if purple is so "necessary" to the league. The Kings should proudly own purple the way the Sharks own teal and the Golden Knights own steel grey. Well, the Sharks aren't particularly good at "owning" teal, seeing as how the jerseys, logos and specific shade of teal aren't all that fantastic. Brighten it/remove black and add a lighter accent color, and you'd have something. I'll give you Vegas, of course. There is no "pride" in purple for the Kings. It's the color worn during the franchise's years of irrelevance. It may be good from a point of "color diversity," but not for the Kings. I don't think the Sharks will ever remove black, nor should they.